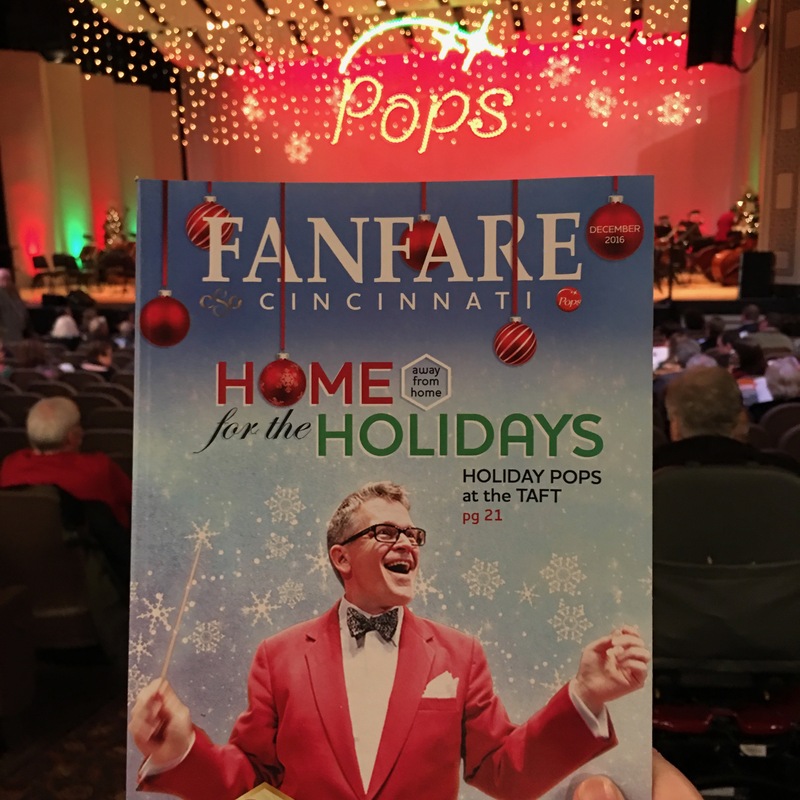 Holiday Pops at The Taft – Go There. Try That. After a string of unexpected medical issues devoured November and my love of all things autumn, I made a deliberate decision that December would be my new best friend! Music. Lights. Trees. Volunteering. Baking. Giving. I want it all. To make sure I inaugurated the Christmas season properly, it was imperative to find a worthy kick-off event the very first weekend of December. The answer? 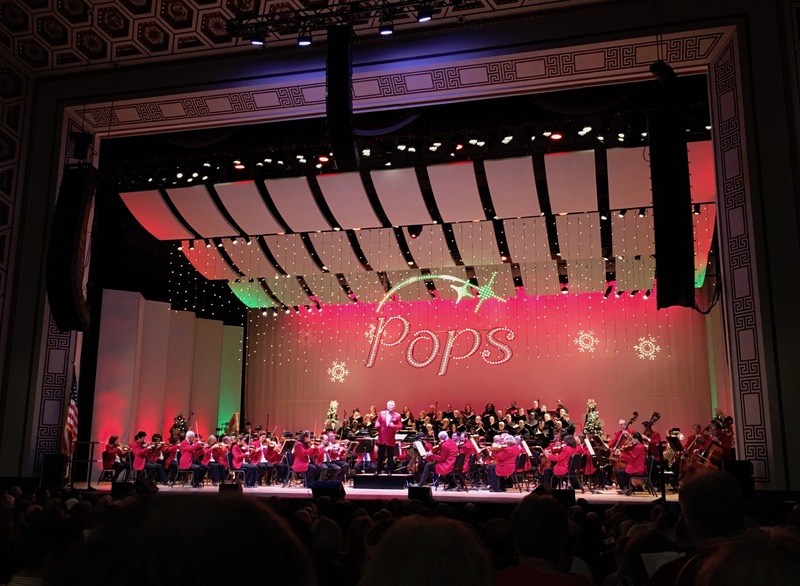 The Holiday Pops presented by the Cincinnati Pops Orchestra. This program was so so good! I know real life is not television; however, I love the show Mozart in the Jungle (new maestro at the New York Symphony)! I’ve always appreciated music, especially the ability to truly play music. It’s a gift. While I love to sing, I’m far from a professional. And while I enjoyed brief stints with the organ, the guitar, the french horn, and the drums, I am a master of none! But, as with all art, I’m such an admirer and avid connoisseur. This was my first time attending the Cincinnati Pops and it won’t be my last! This the perfect place to embrace the Christmas spirit. The performance we attended featured a former American Idol contestant: Melinda Doolittle. Her smooth and soulful voice was perfect for her classic holiday numbers. In addition to Melinda Doolittle’s solos, I thoroughly enjoyed the beautiful Pops Chorale. What a fun addition to the symphony. After performances from the professional musicians, the show ended with an audience sing-a-long including favorite holiday jingles. How could December not be my best friend after such a warm, toe-tapping, festive evening in a beautiful downtown Cincinnati landmark (love that Art Deco interior)? Trust me when I say that I smiled the entire evening! See you later November! Because Music Hall is undergoing renovations, the 2016-2017 Pops season is being held at the Taft Theatre. There are still shows to come with the Cincinnati Pops and I highly recommend getting tickets this year! If you want to see a show this holiday season, check out Christmas with Over The Rhine (Dec. 20th), Snowman with the Pops (Dec. 23rd) or The New Year’s Speakeasy (Dec.31st)! There truly is such talent in this city! Bonus: Downtown is beautiful this time of year! GO THERE (Taft Theatre)! TRY THAT (Cincinnati Pops)!